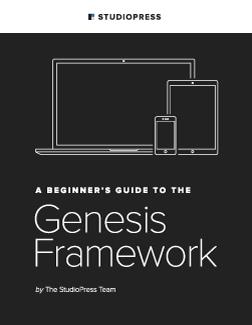 There are well over one-hundred Genesis Child Themes out there, however many of them are located only on each developers sites. I created this reference directory of all active Genesis Child Theme Developers to make it easier on myself, and everyone else for that matter to find all of my Child Theme options without the headache. The Directory of all Genesis Child Theme Developers and Their Themes. There are two groups, developers and theme stores. Theme developers are ordered by the number of themes released and their overall commitment to the community. I also created another resource, a catalog of All FREE Genesis Child Themes. This resource shows a screenshot of the theme, and links to demos and dowloads. Please note that some of these links are affiliate links and some are not. I wanted to create a resource that included ALL theme options, not just ones supported by affiliate links. If this resource has been helpful for you, please consider clicking though my links when you decide to purchase. Much appreciated! Creating this resource and keeping it updated takes a lot of work. Any donations would be welcome, thanks! You have got to love these independent developers. I welcome all of the variety of child themes that they create. The more diverse the designs, the more attractive the Framework will be. On second thought, maybe I don’t want it to be too popular; the awesome SEO of this framework is like a good insiders secret. From here it is up to you to decide which Genesis Child Theme is best for you. Notes: Released 2 Free Child Themes to date. Developer of Genesis Framework, expect most prolific theme development from them. Amazing after purchase support. Like lots of Themes? Check out the Pro Plus Package and get all their current and future themes! Themes In Development: There always seems to be a few in production. Notes: Themes in the Marketplace are created by developers other than StudioPress. Expect to see some rapid growth in this marketplace. This should be a huge advantage for both independent developers and the theme buying public by offering a quality (& high traffic) location for 3rd party themes. Notes: ThemeForest is quite possible the largest Theme Store out there. Notes: ThemeGarden sells regular WordPress themes as well. NOTE: Some apparent restructuring has been taking place and the number of child themes has been diminishing. Based on this I am not sure how much longer theses child themes will be for sale on this site. Site is currently offline. Notes: MOJO Themes sells themes for WordPress, other WordPress Frameworks, and other blogging platforms as well. Notes: Themes will eventually be available for iThemesbuilder and Headway Frameworks. Notes: All Themes Have Been Updated To Be Mobile Responsive!! Notes: Released 1 Free Theme to date. Originally designed Agency and Freelance themes for Studiopress. Expect good things! Notes: Amazing documentation included for theme install/config. Great training resources available to purchase. Amazing after purchase support. Notes: Niche sites and support focussing on political campaigns and no-profits. Pricing reflects installation and support. Notes: Premium design and support services. Notes: Several resources shared on this site. Creative theme design. Notes: Working on a theme to be released free, great training/tutorials on his site. Notes: Has released several FREE Child Themes, this is his first premium theme. Very versatile design with many development options! Notes: Primary focus is on client customizing work. Notes: Lot’s of WordPress resources here. Notes: Nice looking theme and company site. Hopefully there are more themes in the works? Notes: Site has a lot of great tutorials on it. Based on that level of buy in, we should expect to see some good theme development here. Notes: Released 1 Free Theme to date, with another in the works. Client customizations show talent. Curious to see what comes next! Notes: Released 1 Free Theme to date. Notes: We will know more when they launch their first theme. Their client customizations and own site look good. Let’s wait and see what they come up with. Removed Press75 from Developers list as they have officially stopped offering the On Demand Theme as a Genesis Child Theme. Thanks to David Decker @deckerweb for the heads up. Added AppFinite and Studiopress Marketplace. Checked all existing developers for any changes, theme releases, etc, which there were none. Allure Themes just released their “October” theme, bringing their total to 8. Updated Links from ThemeGarden. You can no longer browse ThemeGarden for Genesis Child Themes directly, only by search for themes by author. Not sure how long that solution will remain effective. Added TeethGrinder with his new premium theme, Stargazer. Great feature-packed theme!